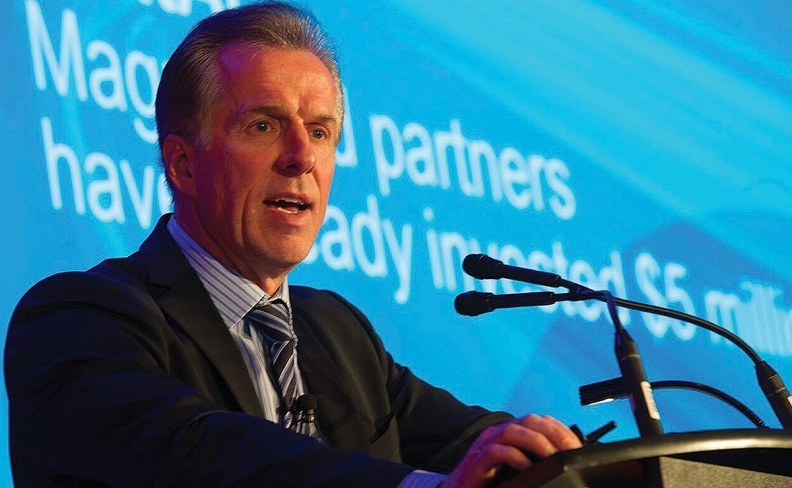 Magna CEO Don Walker says Canada is a leader in the potential game-changers of machine learning and AI. Magna International Inc. says it will spend $5 million on an artificial intelligence research centre in Ontario. Canada’s biggest auto parts supplier will invest the money in the Vector Institute, an independent artificial intelligence research facility that launched in downtown Toronto on Thursday. Vector will be dedicated to exploring artificial intelligence, specializing in the fields of deep learning and machine learning. The research is aimed at attracting, developing and retaining some of the best and brightest in the area of artificial intelligence. Magna said its own AI strategy revolves around two areas: Manufacturing and autonomous driving. From a manufacturing standpoint, Magna says leveraging AI can provide human machine operators enhanced information for decision-making and can automate quality, sorting and material handling to help reduce production costs. As the future of mobility continues to evolve in vehicles, artificial intelligence will play a major role in dynamic decision-making in autonomous driving, Magna said. Object detection and classification combined with scene segmentation, including traffic volume, speeds and road conditions, such as weather, lighting and visibility, will be key attributes to self-driving capabilities. The province of Ontario has committed $50 million to support the Vector Institute. At the federal level, Prime Minister Justin Trudeau was at Magna’s facility in Brampton, Ont., Thursday afternoon, promoting collaboration among Canada’s leading centres of expertise in artificial intelligence. In particular, Trudeau was highlighting his government’s $125-million Pan-Canadian Artificial Intelligence Strategy, which was announced in the budget March 21. As part of that effort, the Canadian Institute for Advanced Research will work with the Vector Institute. CIFAR, founded in 1982, has an annual budget of $25 million derived from federal and provincial governments and individuals. It studies everything from the Earth’s evolution to early brain development to artificial intelligence.